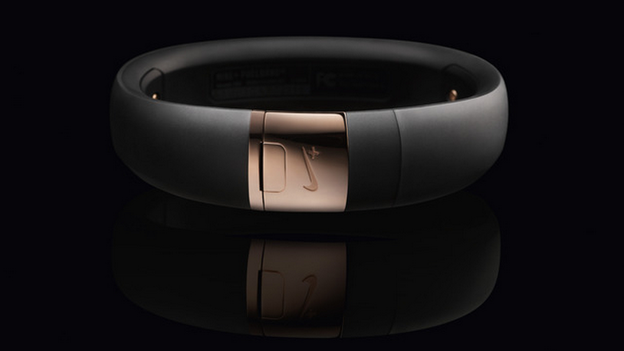 Nike has unveiled a limited edition version of its Nike+ Fuelband SE activity tracker. The Rose Gold Nike+ Fuelband SE, the fitness band has been designed to match the gold colour of Apple's iPhone 5S smartphone. The regular Nike+ Fuelband SE has a price tag of $149. The limited edition Rose Gold edition however will set you back a further $20. “The striking Rose Gold colourway takes cues from high-end timeware, with a clasp, bezel and screws manufactured from 316 series stainless steel,” Nike said in a release. The gold version will be available next week “in limited quantities” in the US. The company did not say whether it will be bringing the special edition activity tracker to the UK. In the meantime, can check out T3's review of the Fuelband SE here. The Nike Fuelband is back. Is it the smartest tracking band of the bunch? Is the successor to Nike+SportsWatch on the way?